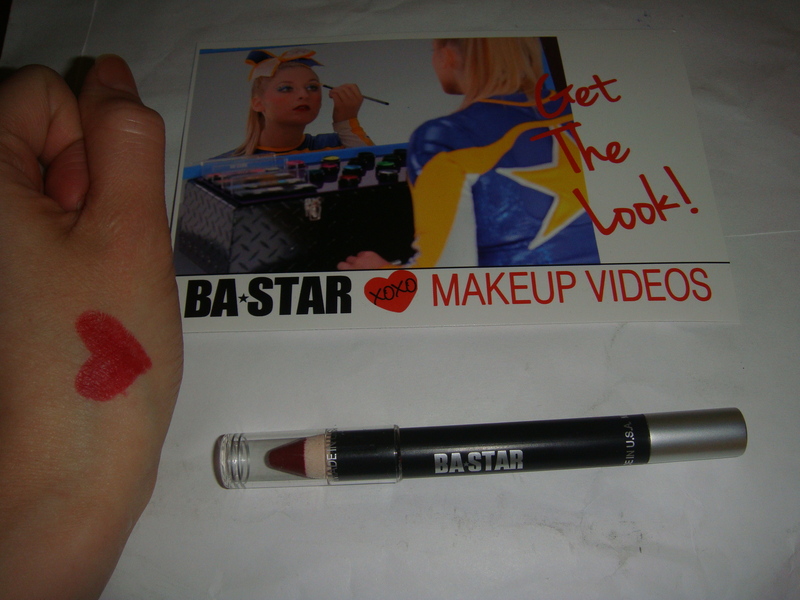 BA Star is the #1 performance makeup worn by cheerleaders, dancers, performers and trend setters. With that being said, their products are made for the stage; they provide an abundance of products that embody glitter, glitz & glam! There are also hair pieces, cosmetic bags and makeup videos on their site that you can watch to get an idea of how to apply the makeup. If you have a cheerleading/dance team, you can order products in bulk and receive discounts or you can also create custom kits for your team. Since the holidays are coming up, a red lip is the perfect colour to compliment your outfit. I have never been one to brave the red lip trend, but with this product I will be sure to try it out this holiday season. Having red lips can also boost your confidence when you walk into a crowded room! I received the Holiday Red Lip Pencil and I have to say that the packaging is quite sleek; The base is black with a silver topper. When applying, it feels very smooth on the lips and if you want a more glossy look, you can definitely apply a lipgloss on top to make your lips stand out even more. I look forward to wearing a bold lip in the upcoming months! Disclaimer: This post is sponsored and powered by Brand Backer. I am not making commission or getting paid to make this blog post.